I am making a cushion for my sister-in-law, a little bit of machine sewing and some free hand sewing from the children's own designs. Last week I was lucky enough to win a giveaway on Rosie Hearts. Isn't that just gorgeous. Gina, is incredibly talented and has sooooo many lovely designs in her 'Not on the highstreet' shop, check out her Brit inspired things all set for this year's Olympics. 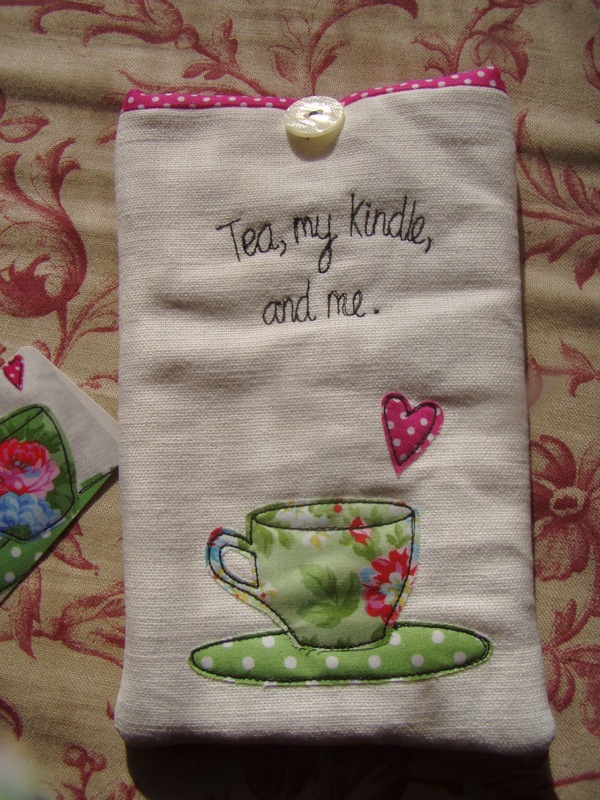 The kindle cover is so carefully and creatively made....aren't I lucky! 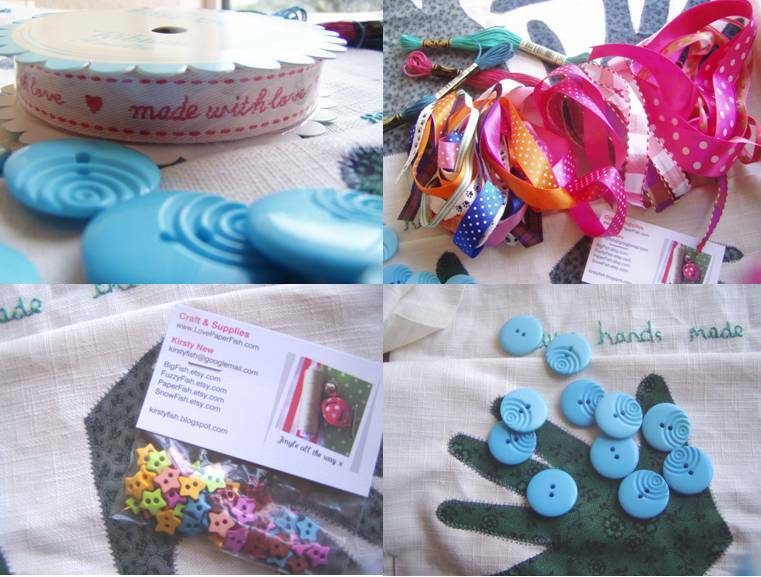 I also ordered myself some bits and bobs from That Crafty Fish's etsy shops.....have a look at my haul! So.......I am definitely pushing my luck this time of night, sitting at the computer and not making the supper....... so must away.....on the subject of food, a number of people mentioned that they would like the welsh cake recipe.....I'm sure my mother would have an age old traditional recipe, but I must admit to being a die hard Nigella fan and used her recipe from 'How to be a Domestic Goddess' but found a similar one online here. Ooooh, what a gorgeous looking cushion. Looks like it's going to be wonderful. I love your stash of buttons and ribbons. Her stuff is amazing. Oh no, can't believe your jumpers too short. Hope the plan works. 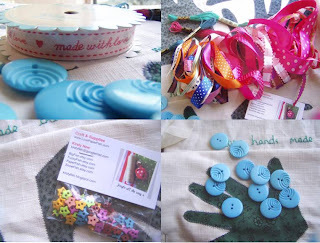 And what a prize for a giveaway, I found her shop recently and her stuff is just stunning and so different! I love your hand stitching Faith, I can't stop stitching words, I think it's really addictive! So sorry to hear that after all your time and effort your jumper is too short. I would also do as you are doing and make a couple of panels as it would be such a shame to not be able to wear it after all your energy you have put into making it. What a fabulous idea for a cushion... Am already planning one for my mum from my kids- love it! Good luck with the extra panels for your jumper- I'm sure you can make it work! LOVE your hand cushion idea!! What a fabulous gift!! You are too creative. I bet whatever you do to the jumper will turn out perfect! Thank you for the recipe, too! Still much too cold here for spring. I have every confidence that you will be able to make that sweater work out! It is gorgeous. I sure enjoyed looking at your bits and bobs--notions are my thing, especially knitting stitch markers! ohh that cushion looks great, I cant wait to see it finished. Im so sorry your top has turned out too short, Im sure you will be able to fix it though- just call the extra panels design elements!!!!! 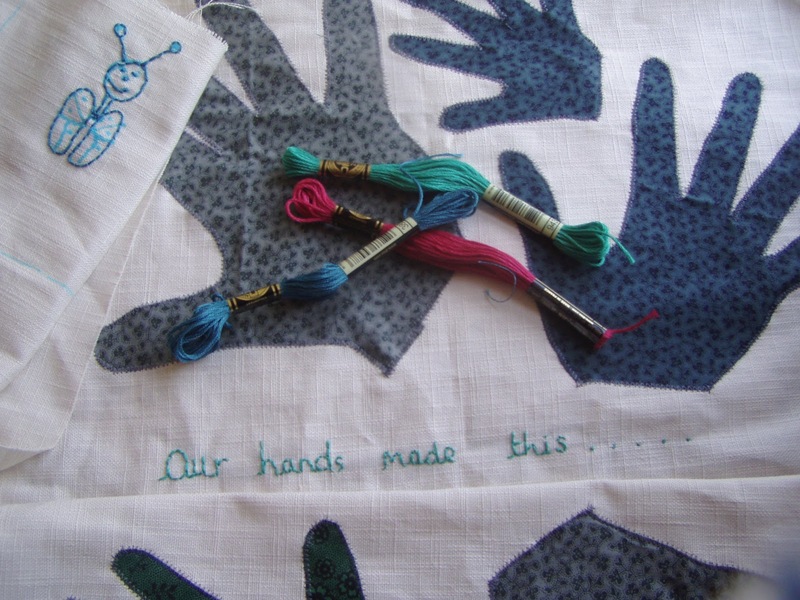 Can't wait to see the cushion, it sounds like the most wonderful idea and I love the little inspiring bits for it. Thanks for the recipe will be sure to look it up and try them out. Nigella Lawson's Welsh Cakes are quite delicious although I find I tend to eat too many and feel rather full. 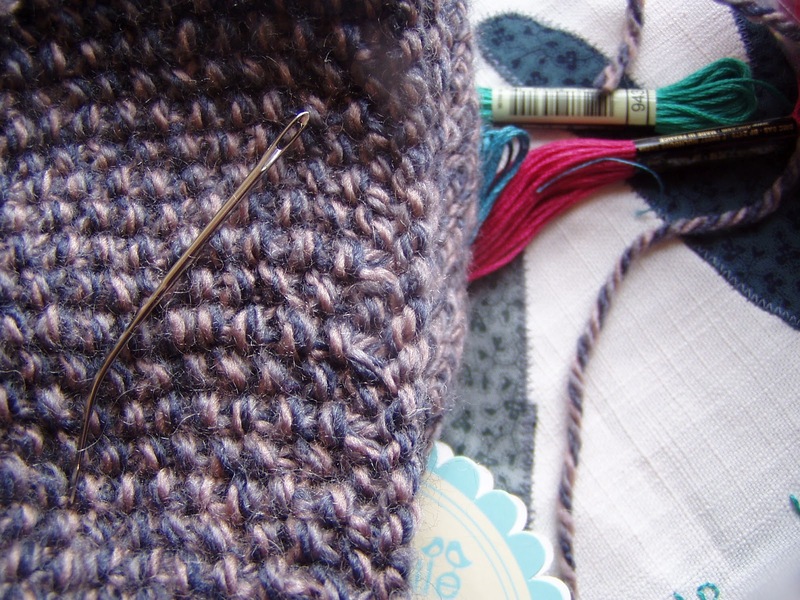 Isn't it amazing how knitting teachers us patience? 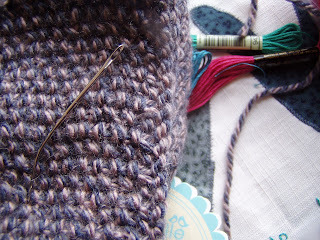 It is frustrating to take the time to knit a garment stitch after repetive stitch only to find it is too small. But as the French say 'ce n'est pas grave"! I am sure you will make your jumper into something lovely. I look forward to seeing it. Welsh cakes are big around here, but then we are in Wales! Your etsy haul is so colourful, love it! This is my first chance to visit this week - I love your projects! Good luck with the jumper!